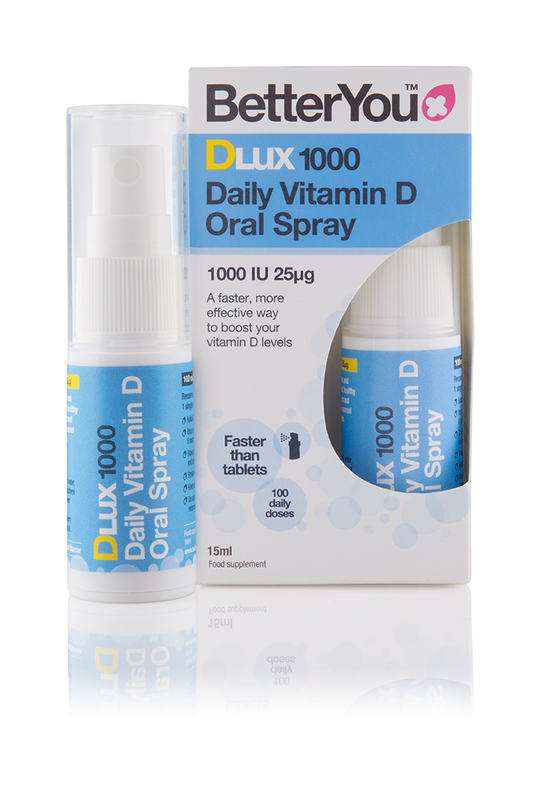 BetterYouTM DLux1000 is a convenient daily oral spray delivering 1000iu (25µg) of vitamin D3 in every spray. 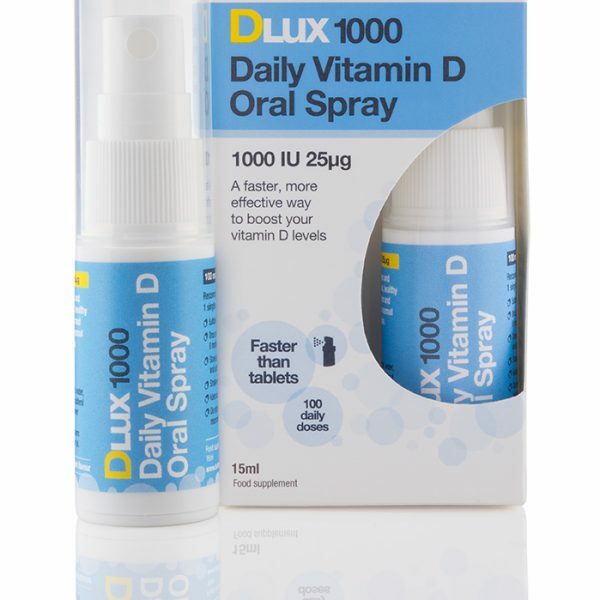 Scientifically proven to deliver vitamin D directly into the bloodstream, BetterYouTM DLux1000 Vitamin D Oral Spray is a superior alternative to traditional tablet supplementation. With a natural peppermint flavour, BetterYouTM DLux1000 is suitable for those on vegetarian, coeliac and diabetic diets. Purified water, xylitol (natural sweetener), cholecalciferol (vitamin D3 in coconut oil), peppermint oil, sunflower lecithin (tricalcium phosphate, rice flour), citric acid, preservative: potassium sorbate.